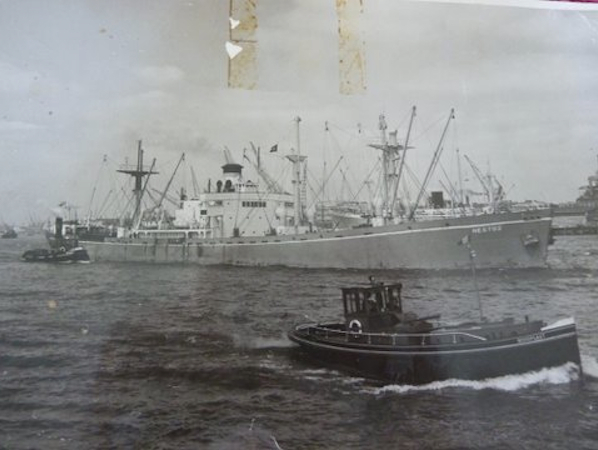 Donald Nicholson from Fort Myers, Florida kindly sent me the above photo of a freighter called the SS Nestos. It was interesting to see the picture of the SS Nestos. If anybody is interested in ships and shipping in general try Googling Ships Nostalgia. A terrific site which even has my picture of 50 years ago under the RMS Camito banner, The Elders and Fyffes flag ship of those days.